Much like the enchanting cherry-lined streets in spring, autumn is a magical time in Japan. As fiery autumn foliage manifest in and around the cities, Japan transforms into beautiful seas of red. Two regions in Japan which stand out for autumn artistry are undoubtedly the Nagano and Niigata Prefectures. The mountainous Nagano Prefecture houses 9 of the 12 tallest mountains in Japan, making it the prime destination for mountain resorts and hot springs. 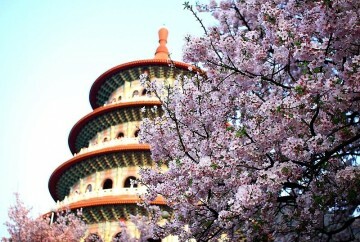 It also has the highest average altitude out of all the 47 prefectures, averaging 1,132m. On the other hand, the Niigata Prefecture hugs the coastline of the Sea of Japan, offering pristine coastal plains nestled amongst mountainous terrain covered in autumn colours. Since the season of autumn will soon be upon us, let’s check out some of the best autumn viewing spots in Nagano and Niigata so you can add them to your next Japan itinerary! Not only is Nagano city easily accessible from Tokyo Station (an hour and a half by shinkansen), it also acts as a good base for exploring many of the beautiful mountainous regions in the surrounding area like Togakushi and Shiga Kogen. shinshu soba (buckwheat noodles), fermented food products (like natto and miso), as well as wild mushrooms and vegetables harvested from the surrounding mountains. Now that we’ve covered the basics of Nagano City, it’s time to head out and visit the nearby attractions! While Nagano City is easily accessible by train, the same can’t be said of its surrounding areas. Most of the attractions in the Nagano Prefecture are located in elevated, mountainous terrain, so while they are amazingly beautiful, it’s not practical to get around by train. Instead, you can either take the buses from Nagano Station or rent a car to drive. Part of JR Group’s extensive network of transport options, JR Rent-A-Car has offices located at most major JR Train Stations. In addition to various car models and rental prices to match any group of travelers, JR Rent-A-Car even provides GPS systems in English. What’s more, if you are a JR East Pass holder, you can get a 10% rebate on basic rental charges when you book online using the code <JEPDCT>. Now, that’s an awesome deal! Hakuba is about an hour’s drive from Nagano City and is usually one of the most popular spots for skiing in winter. That should come as no surprise since the village is nestled amongst the Northern Japan Alps, with nine ski resorts and various skiing tracks operating in the area. 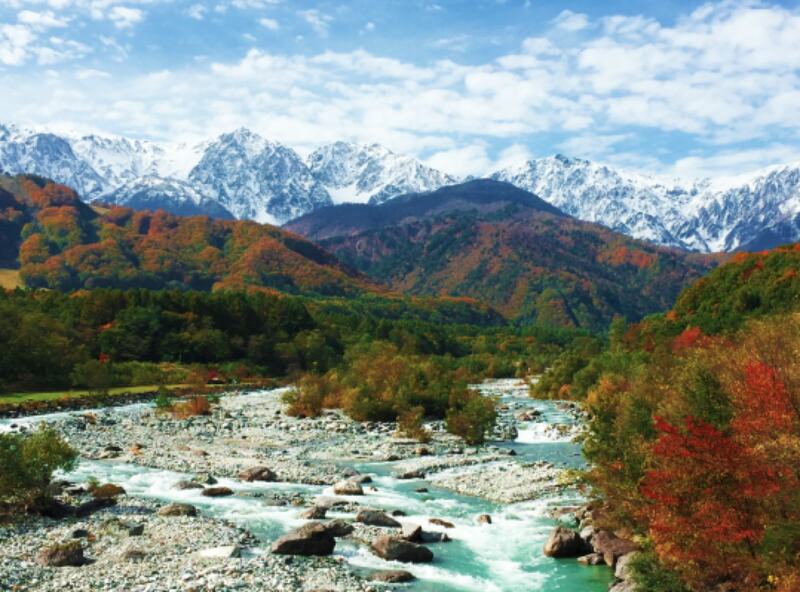 In the autumn months leading up to winter, Hakuba entices visitors with its mesmerising natural beauty, best seen via its scenic hiking trails. Autumn leaves start to colour the mountains red in October, but the best time to visit is just as the first snow starts to fall. 3段紅葉, the 3 stages of autumn foliage. 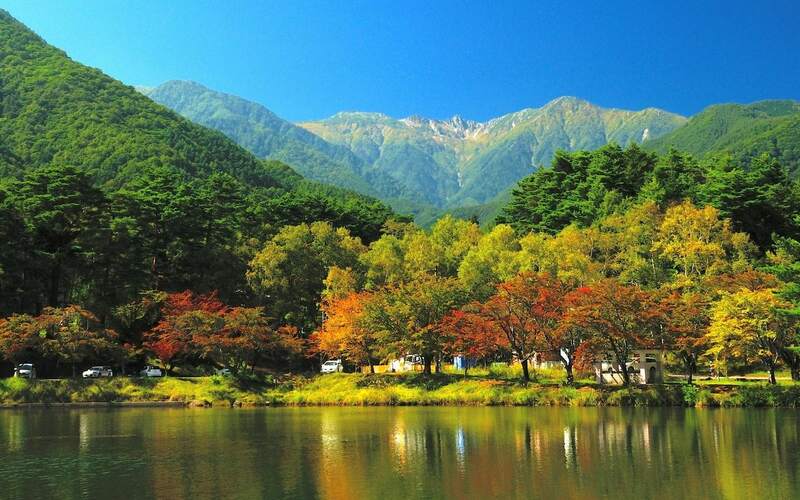 During this time, the mountains are bathed in a beautiful tri-coloured hue, with the white snow blending in well with the red autumn leaves and green plants on the ground. 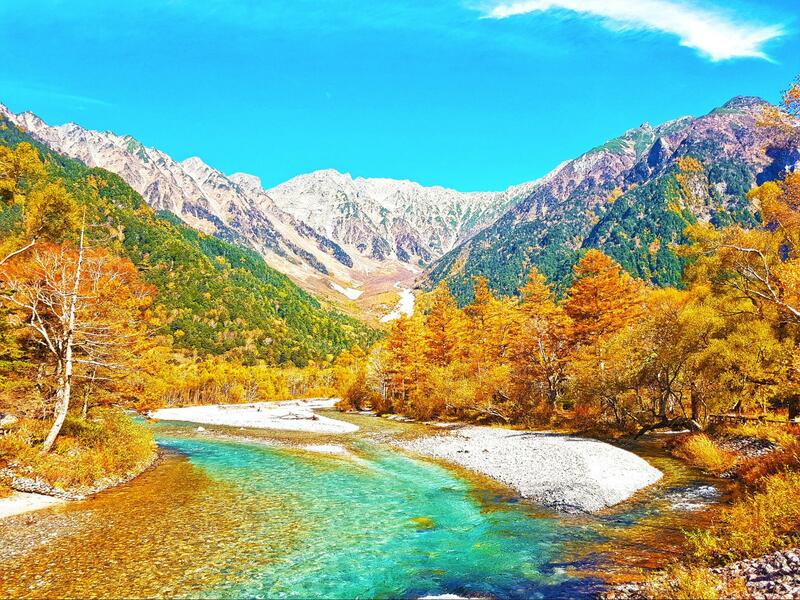 This alone makes Hakuba one of the best spots in Nagano for autumn scenery. Not far from Hakuba is the village of Togakushi (40 minutes northwest of Nagano city centre). Nestled within forested mountains, the village is home to Togakushi Shrine (called Togakushi Jinja by the locals). The shrine (divided into three separate sections) recounts an important lore in Japanese mythology, which depicts how the Sun Goddess brings light into the world. Fascinating origin story aside, Togakushi is famous for stunning autumn vistas. As you head towards the shrine, you’ll find yourself walking on charming cedar-lined paths, surrounded by the lovely crisp air of the forest mountains. Kagamike Pond is especially alluring around mid-October. The water is so clear that it reflects the autumn colours of the surrounding mountains perfectly, creating an otherworldly view that’s perfect for more than just a few Instagram photos. Located in the mountainous highlands of the Nagano Prefecture, Shiga Kogen is another one of Japan’s top skiing destinations in winter. But before the snow falls, Shiga Kogen attracts visitors with its pleasant nature trails and stunning mountain scenery. There are plenty of chairlifts which provide visitors access to the breathtaking peak of Mount Yokote, 2,305 metres above sea level. Unsurprisingly, the geography of the area makes it another of Japan’s top spots for memorable autumn scenery. One of the best locations in Shiga Kogen for that is Onumaike Pond. The reflective emerald water of the pond is the perfect canvas to admire the fiery autumn foliage. The contrast of colours is simply alluring, especially in early October, when the first speckles of red begin to show in the trees. Naena Falls (known as Naena-Taki in Japanese) is one of Japan’s 100 most beautiful waterfalls. Cascading down a 55 metre basalt cliff, the sound of the gushing water is so loud that echoes can be heard in the neighbouring forests. This is how Naena Falls earned its apt nickname: Earthquake Waterfall. Despite being a viable attraction all-year round, this scenic location in rural Myoko is best visited in early October when leaves begin to take on the colours of autumn. Only an hour’s drive from Nagano Station, Naena Falls can easily be reached via its well-paved walking paths. At the end of the trail, there is a long bridge from which you can admire Naena Falls in all its beauty. nagashi-somen, it offers a truly memorable dining experience. Of course, if you plan on making Nagano City your base for exploring the region, you’ll need a good place to stay in for some down time. In this case, we recommend Hotel Metropolitan Nagano. The Metropolitan brand is synonymous with an excellence of quality in Japan and its chain of 4-star hotels is testament to that. The Hotel Metropolitan Nagano is directly connected to the station, so getting anywhere is incredible fuss-free and convenient! With an array of comfortable room options, a rooftop bar with an impeccable view, and a fine selection of on-site eateries, Metropolitan Nagano is easily one of the top choices for accommodation in the city. 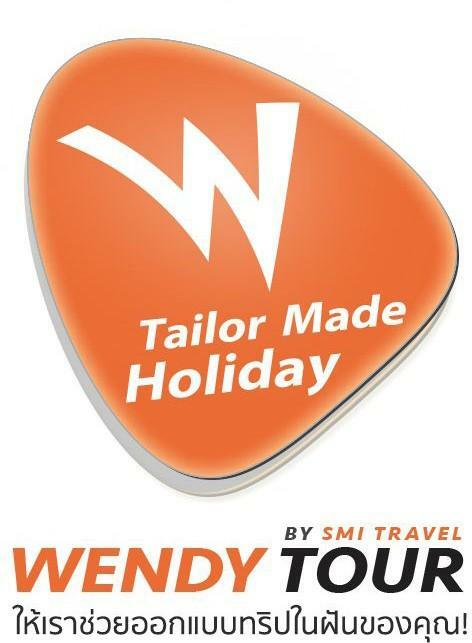 Book your stay with them today! 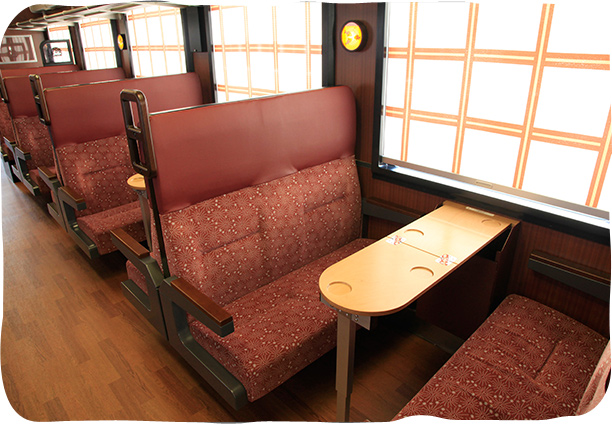 Joyful Trains are trains in Japan that are creatively designed according to unique themes, bringing a whole new excitement to rail travel. Featuring innovative colour and design motifs, a ride on a Joyful Train can turn any journey, even those that are painstakingly long, into a…(excuse the pun) joyful one! Some Joyful Trains even offer limited edition lunch boxes, live performances and special event areas and carriages! 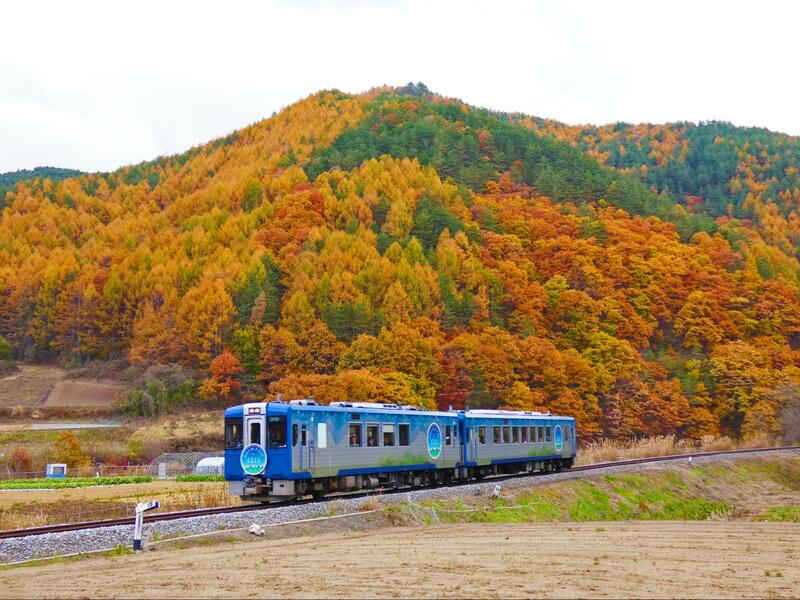 And, with meticulous planning, you can actually catch some of these charming trains while on your trip to Nagano and Niigata! From Nagano Station, you can catch the Oykot Joyful Train towards Tokamachi, even if only for a few stops. The name “Oykot” comes from “Tokyo” spelt backwards, and the concept is to be a contrast to the busy metropolitan capital, and to let travelers experience the rustic interior of authentic Japanese village homes. 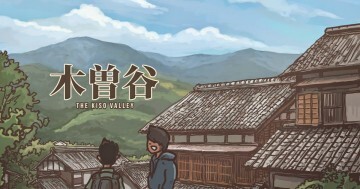 It draws inspiration from the Chikuma-gawa River (Shinano-gawa River), and the surrounding fields and country homes. To further highlight the cosy ambience, the train passes through wide paddy fields, bringing passengers an unmistakable aura of calmness and serenity. Enjoy the scenic ride through the countryside before arriving at your next destination! 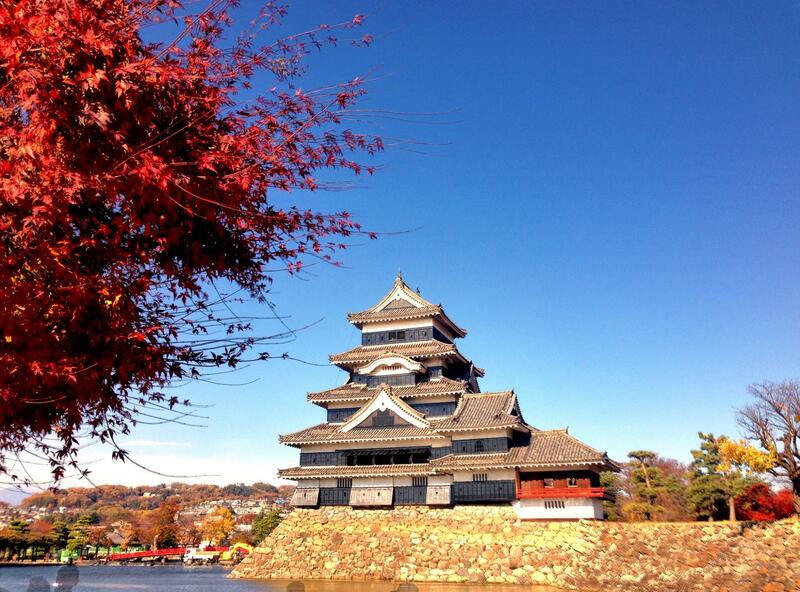 Another ideal location to stay in while exploring beautiful autumn foliage is Matsumoto City. The second largest city in Nagano Prefecture, Matsumoto is easily accessible via the Azusa or Super Azusa limited express trains from Shinjuku Station. A one-way journey typically takes about two and a half hours. Besides being a good base for excursions into the Japanese Alps, Matsumoto is also famous for Matsumoto Castle, one of the country’s most mesmerising castles. While beautiful on its own, Matsumoto Castle is even more beautiful when it is surrounded by the city’s autumn foliage in late October, making for an unforgettable sight. 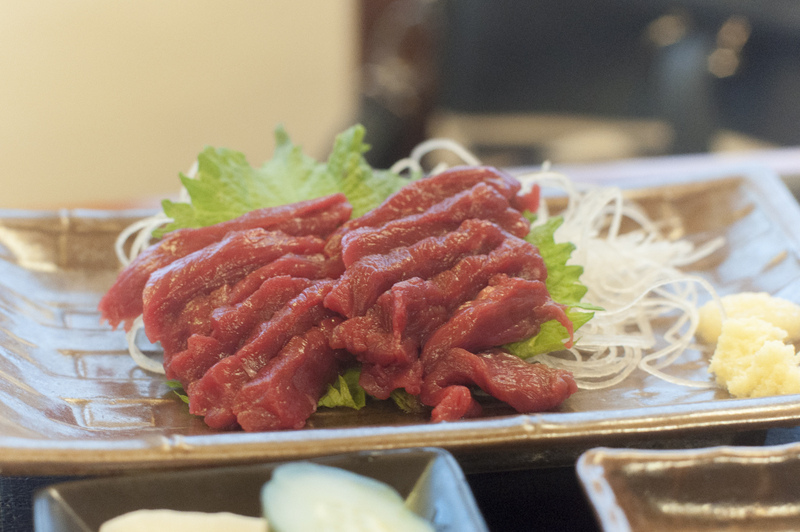 One of the more peculiar culinary delicacies in Matsumoto is basashi – horse meat sashimi. While it might sound weird at first, horse meat has traditionally been consumed all over Central Asia, Europe and South America. Said to be very lean, there’s a certain degree of sweetness to horse meat, much like a mix between beef and venison. Served in thin slices, the horse meat is often dipped in soy sauce, ginger and onions. Another major part of Matsumoto cooking is the spring water which is often used. Sourced directly from the Japanese Alps, it is said that the water helps bring out the flavours of the dishes it is used in, and leaves a crisp, fresh taste on the palette. Located in Chubu Sangaku National Park, Kamikochi is a natural plateau in the Azusa River Valley, offering some of the most spectacular views of the Japanese Alps. 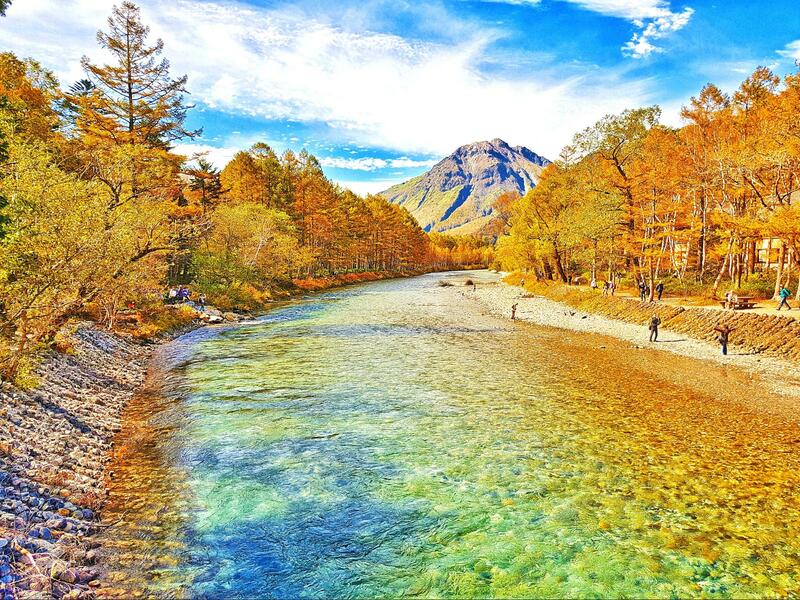 Usually closed to visitors in winter, Kamikochi is at its most beautiful in mid October, when the colours of the autumn leaves are out in full swing. In the centre of Kamikochi is the Kappabashi (Kappa Bridge). From here, you can admire some of the most pristine autumn views as hiking trails lead you towards the various summits in the area. Another popular spot for autumn scenery is Taisho Pond, specifically known for the hiking trail which stretches from it to Myojin Bridge. Largely comprising of flat terrain, this trail is perfect for those who want to enjoy leisurely strolls amidst autumn colours and alpine flora. Note: For 2018, Kamikochi will be open from from April 17 to November 15. If you like Japanese cuisine, then you probably are a fan of wasabi as well. But did you know that real wasabi is often very difficult to cultivate? This is because the quality of the water used to water the plants has to be of the best quality. The Daio Wasabi Farm (located in the quaint city of Azumino) is one of the largest wasabi farms in the country. However, it is not its size which makes it a famous tourist attraction, it’s the wasabi that is grown here. Nourished by the crystal-clear waters of the Japanese Alps, wasabi grown at this farm are simply the best. If you’re hoping for a taste, you can try sampling some of the wasabi products on sale here, including the strangely delicious wasabi-flavoured ice cream. Apart from products that (literally) set your tongue alight, there’s plenty of beautiful sights around to enjoy as well. We recommend taking a boat ride along the main river of the farm to cap off your visit. The town of Karuizawa is located on the foothills of the active Mount Asama volcano. Located at an elevation of about 1,000 metres, Karuizawa is often the destination of choice for the locals during summer to escape the heat. To get to Karuizawa, simply ride the shinkansen from Tokyo Station. It’s only one hour away after all! Due to its quaint nature, it’s relatively easy to get around in Karuizawa, with walking, biking and riding the local buses being the best options. While it may not look like it, Karuizawa is also a top destination for shopping. The Karuizawa Ginza is just as it sounds: a local version of Tokyo’s famous shopping district. The leisurely ambience makes it an ideal place to stroll about as well. If you’re looking specifically for popular brands, then you’ll want to check out Prince Shopping Plaza. 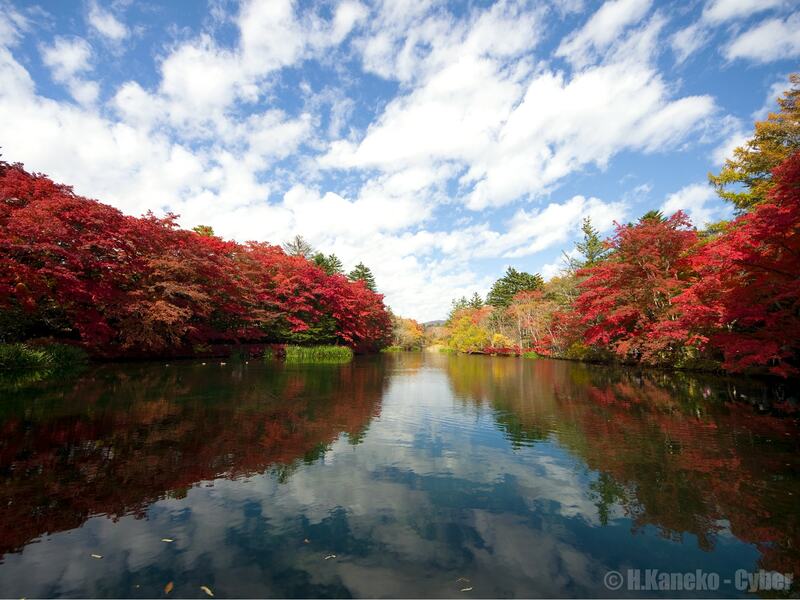 One of the top scenic destinations in Karuizawa is the photogenic Kumobaike Pond. It is about 1.5 kilometres away from Karuizawa Station and is one of the most popular spots for admiring autumn foliage. We recommend visiting this spot around the end of October for the best views. 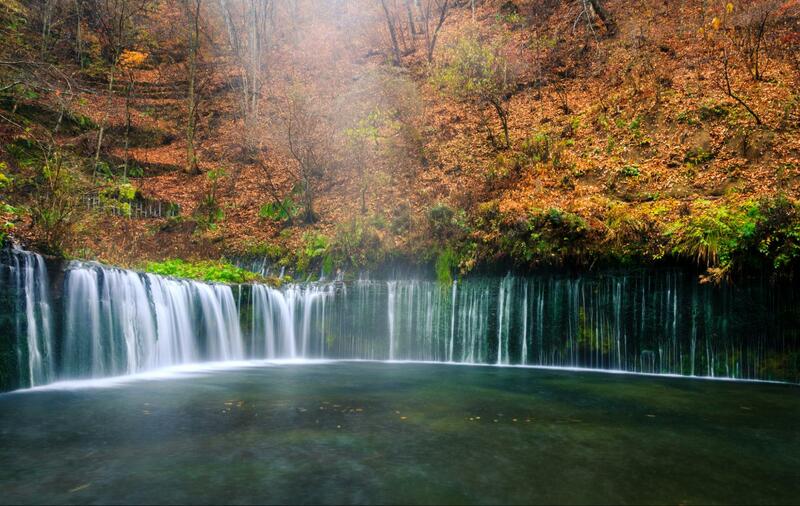 Shiraito Waterfall, located just a short distance northwest of the town, is another must-see location. Having been a regular area of residence for foreigners since the 19th century, Karuizawa is a town that prides itself on making some of Japan’s best fruit jams. While staying in the city, be sure to sample some of the sweet, savoury preserves for breakfast! The Kusatsu Onsen, located in the mountains of Gunma Prefecture, is one of the most famous hot spring resorts in Japan. The water of the hot springs here are said to contain potent medicinal qualities, capable of alleviating almost any kind of physical ailment. It’s easy to see why almost no one would pass up an opportunity to take a dip! 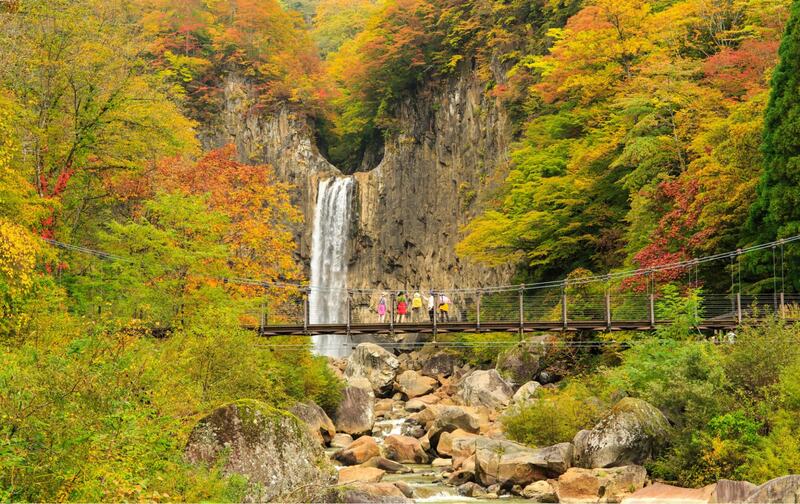 Aside from the healing waters of the onsen, the area is also known for its picturesque hiking trails, especially during autumn season in late October. Most people would go on an excursion in the surrounding areas before ending their day with a soothing bath in the aforementioned hot springs. Ah, I’d imagine that’s exactly what a perfect day in Japan would be like. From Karuizawa, you can board the shinkansen towards Sakudaira and from there, switch to the High Rail 1375 Joyful Train bound for Kobuchizawa. The High Rail 1375 Joyful Train travels along the Koumi Line, across mountainous terrain and offering stunning views of Mount Yatsugatake. In line with that, the train is designed to look and feel like the train that’s “closest to the heavens”. The interior is decked out in the deep azure colours of the evening sky and there’s even a circular gallery containing books on astronomy and ceiling art of the constellations! If you take the evening train, it will stop at Nobeyama Station for about 1 hour, where you can go on a free star-gazing tour. The local guide will bring you to see the beautiful evening skies and constellations (subject to weather conditions) around Nobeyama, one of the best places in Japan to go stargazing! Located along the coast of the Sea of Japan, Niigata City is one of the top producers of rice in Japan. It is also a popular place to stay in for travellers looking to venture into the mountainous regions nearby. You can get to Niigata City directly from Tokyo via a two hour journey on the shinkansen. senbei (rice crackers). 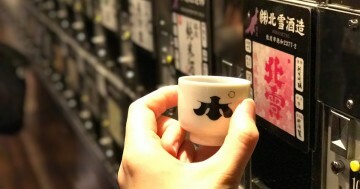 In fact, Niigata is also Japan’s number one Sake producer! 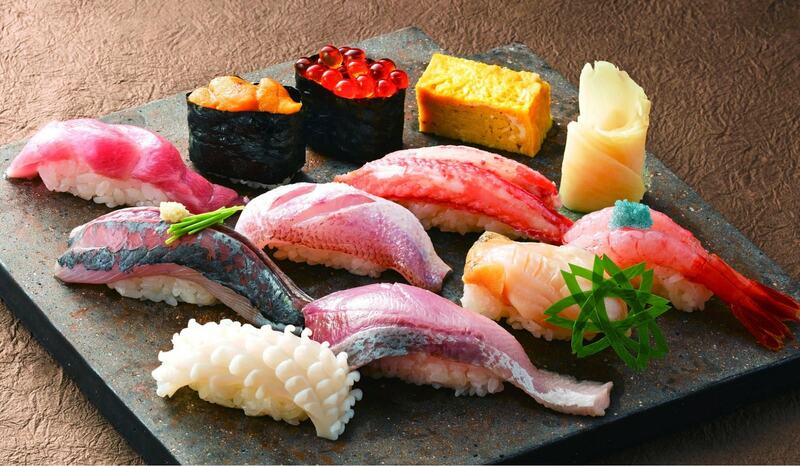 What’s more, due to its coastal location, Niigata is famous for its premium fresh seafood as well. And what do you get when you combine good rice and good seafood? Sushi, of course! Kiwami Sushi is Niigata’s most famous dish. It is a platter of ten (sometimes more) different types of premium sushi. In a typical serving, you’ll be able to sample salmon roe, sea urchin, fatty tuna and other seasonal seafood-based sushi. If you love your sushi, you definitely wouldn’t want to miss this! 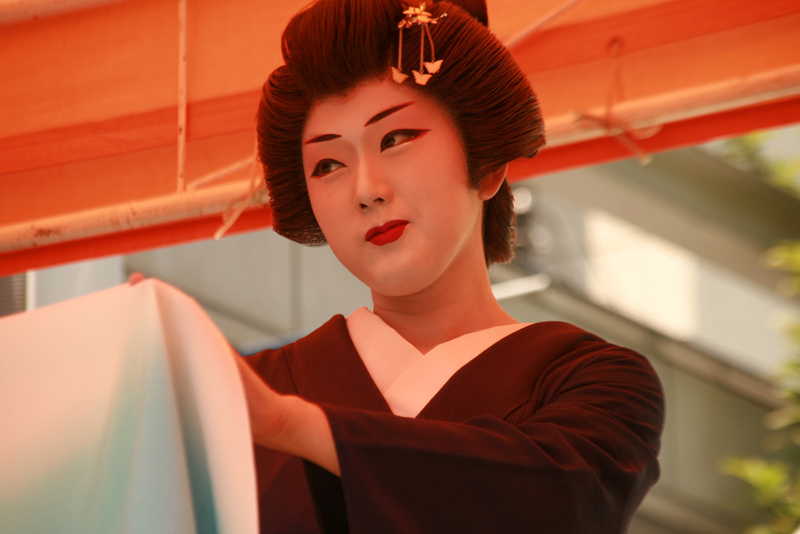 Niigata’s Furumachi district is one of the top three areas in Japan for interacting with geishas, the other two being Gion in Kyoto and Tokyo’s Shinbashi. Unlike their counterparts, Furumachi geigi are unique in the sense that they portray the incumbent cultural traditions of Niigata as a port town in the Edo period. While the Edo period has long since passed, the geigi maintain the hospitality of their predecessors, often welcoming guests to the city with their charming cultural dance performances. 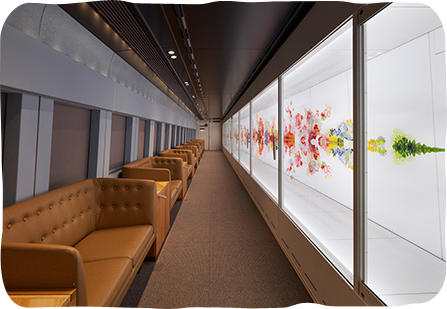 Dubbed the “world’s fastest art experience”, the Genbi Shinkansen is a celebration of the finest Japanese art. Decorated extensively with modern art contributions by Japan’s most prominent artists, the train is essentially a moving art exhibit. 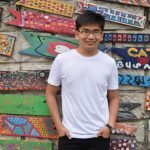 This artsy travel experience is made even more special by the fact that the onboard cafe serves Tsubame Coffee, a famous drink from Tsubame Sanjo, in addition to various yummy desserts. The train operates multiple times daily between Echigo-Yuzawa and Niigata station. Much like Hotel Metropolitan Nagano, Hotel METS Niigata is part of the JR East Group and is directly connected to Niigata Train Station. Boasting a stellar record as a 3-star hotel franchise, the METS brand guarantees guests utmost comfort and convenience when staying with them. The Niigata branch features a fine selection of comfortable room types to choose from in addition to various on-site amenities such as restaurants, conference rooms and even a 24-hour convenience store. 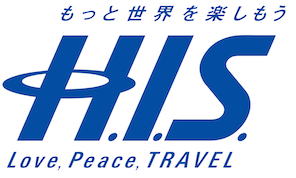 For a memorable stay in Niigata while you explore the many beautiful sites in the region, we recommend staying with Hotel METS Niigata. Book your stay with them today so you can focus more on what matters most: being able to see the best autumn scenery in Niigata Prefecture. The town of Yahiko is about an hour away from Niigata City. While the main attraction here is the 1,300 year-old shrine in the town centre, Yahiko Park is where you want to go during the autumn season. Specifically, you’ll want to make your way to what the locals call the “Maple Valley”. As the name suggests, the path here is flanked on both sides by mature maple trees. In autumn, these leaves turn a lovely shade of vermilion, casting a truly enchanting ambience around the area. Needless to say, this would be one of the top locations for photography given its wonderful scenery. But if you’re looking for the best spot, head to Kan-Tsuki Bridge. Trust us, it’s the ultimate autumn foliage indulgence. Alas, all good things must come to an end. As much as you’d like to continue being surrounded by spectacular autumn foliage in Nagano and Niigata, you’ll eventually have to return to Tokyo to catch your flight home. However, just because it’s the end of our journey doesn’t mean there’s nothing left to see! On your way back to Tokyo, make a detour and visit Mount Tanigawadake for one last awesome autumn experience. Standing at 1,977 metres tall, Mount Tanigawadake is one of Japan’s 100 Famous Mountains and draws countless hiking enthusiasts throughout the year. 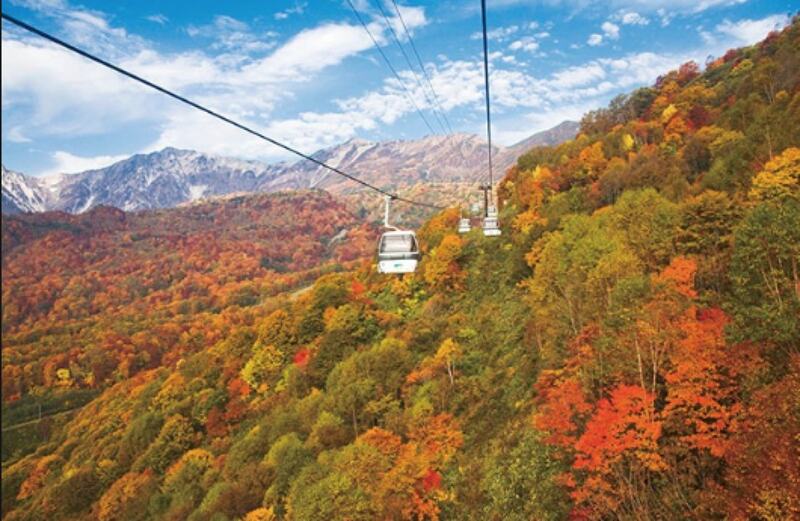 The mountain is bathed in a sea of red, yellow and green during autumn, making it the perfect time to hop aboard the Tanigawadake Ropeway and enjoy the surrounding views. Now that’s what I’d call ending your Nagano and Niigata autumn adventure with a bang! There’s always much more to discover in Japan other than the usuals of Tokyo, Kyoto, and Osaka; Nagano and Niigata are stunning sightseeing gems just waiting to be uncovered. While they are beautiful all-year round, the best time to visit Nagano and Niigata is when they are bathed in the colours of autumn. And since that’s not too far from now, start planning your autumn adventure today! 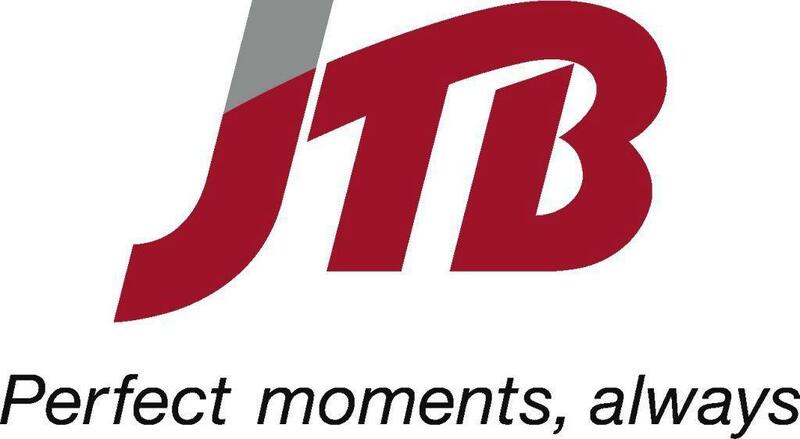 With it, you can enjoy UNLIMITED RIDES on all JR East Rail Lines in the designated areas as well as rides on the Narita Express to/from Narita Airport, Tokyo Monorail to/from Haneda Airport and all Shinkansen lines. 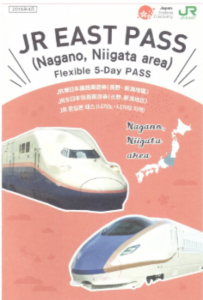 Valid for use for any five days within a 14-day period after collection, the JR East Pass can easily be purchased through licensed overseas sales agents or from within Japan itself. 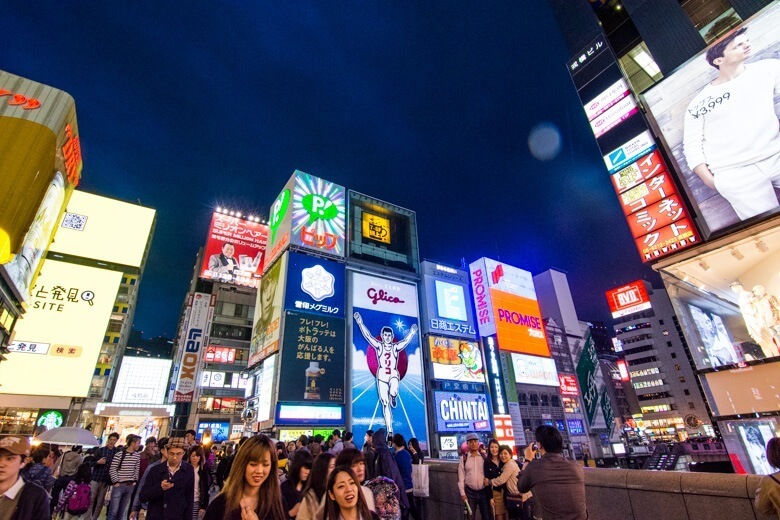 Purchasing the pass from overseas travel agents is 1,000JPY cheaper than purchasing it directly in Japan so we definitely recommend that you do just that.